» Forum » Tech » Tech: Alpha-numeric » Black Knight 2000 Light Matrix Multiple rows Columns lit.... HELP!!! » Black Knight 2000 Light Matrix Multiple rows Columns lit.... HELP!!! Black Knight 2000 Light Matrix Multiple rows Columns lit.... HELP!!! I can't figure out my problem and need some help! I have a black knight 2000 I'm working on for a buddy that when I got the knocker just stayed on and the machine didn't boot and just hummed really loud. I rebuilt the power supply board and it turned back on! After shopping and fixing all the other little things I CANNOT figure out this matrix problem. Every lamp after #33 lights itself and 3 others. -Checked pretty much every diode. By the way the "m" in ransom works fine I just never had it all the way light in the game. Oh ya!!!! And the flipper lane change doesn't work either on the left or the right side ! I had that issue a while back with my bk2k. 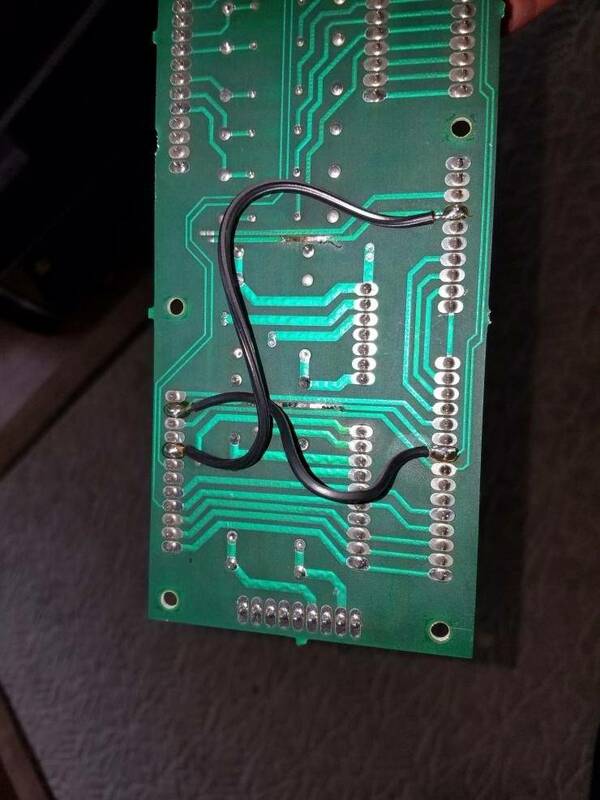 Check the interconnect board as if any of the flipper voltages are by passed then it won't work. Can you take a pic of that interconnect board from and back if memory serves my issue was with the lowest right set of pins. I forget the header name. Here is a picture of someone else's handy work. 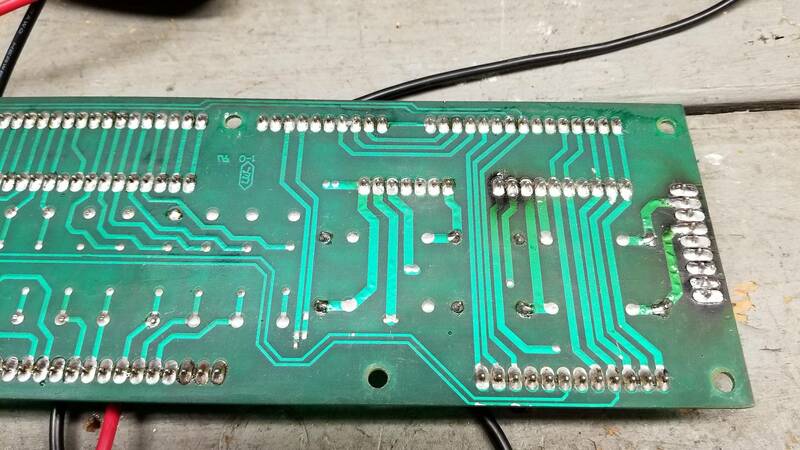 I replaced this board but, it is good to know which pins should have wires on the front. Again if any of these are by passed lane change will not work right. So I had a rottendog system 11 mpu board in a big guns and I swapped it for the black knight and BAM!!! light problem went away. But the lane change problem still exists. I'll need to track down the light problem in the mpu or just send it off. I guess now I just need to figure out the lane change. I check the above suggestions and my auctions board looks fantastic. I would try to remove the leds in that string what has a malfunction. I changed the board and lights worked. It's a board issue. Now I need to track down the chip or what ever the problem is. Also look for switches and contacts from the upper playfield touching the metal guides on the lower playfield. Had that on mine and it drove me nuts until I discovered the problem went away when the upper playfield was raised.